During the planning of the trip we had some hesitation about heading to Rwanda. We had been told by numerous people that Rwanda was an amazing country and that it was nothing like the images that had come out during the 90’s. In fact many people remarked at how impressive of a turn around they had made. People’s comments were accurate in that Rwanda was absolutely beautiful and seems to have turned the corner from their dark past. They are making large strides in ecotourism, no plastic bags are allowed in the country and all city clean up days are in action in Kigali. How they make these mandatory I am unsure, but it seems to have a positive effect on the country. 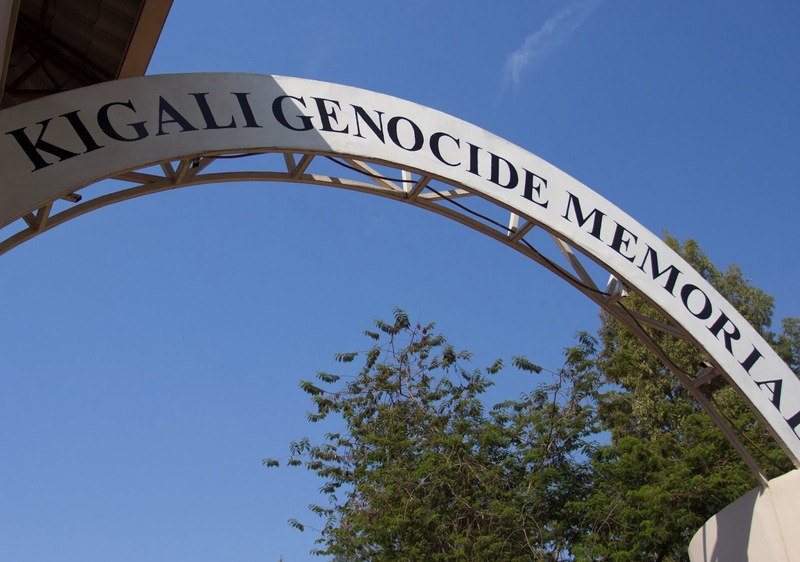 With all this said we still felt the need to go to the Genocide Memorial. The Memorial was very moving and definitely left you with a lot to think about. It is not often that you go to a memorial that is remembering an event so recent. The memorial provided a lot of background information. I read “Shake hands with the Devil” and had seen the lack of response by the UN in regards to the genocide but had not realized that the French were actively selling weapons to Rwanda during the genocide. It was truly depressing the role the international community played in the genocide. In addition to the information of the event there was also a wall of names of people who were killed. 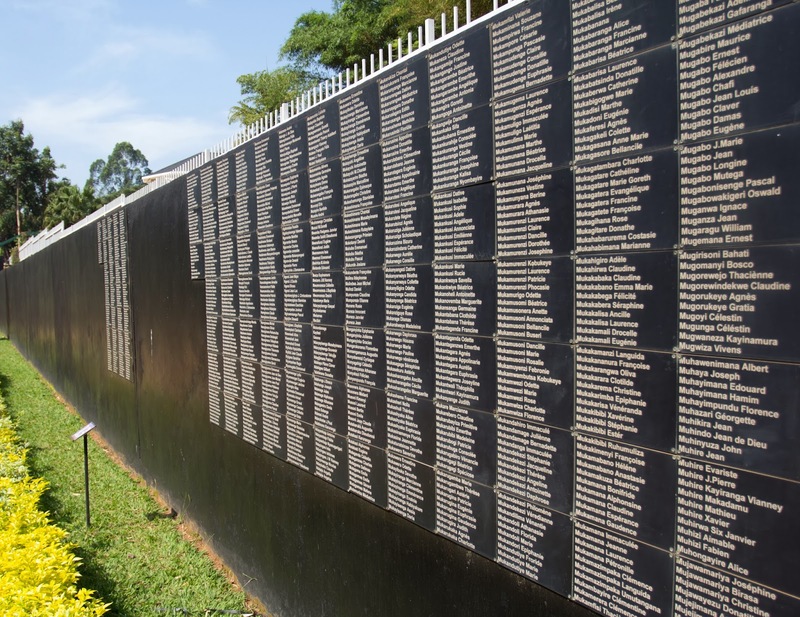 The wall is very long but there are very few names in comparison as a lot of the people are unaccounted for and there is no one looking for them as whole villages and families were wiped out. The wall runs along the width of the mass graves they have set up at the memorial. It leaves the impression that there are still a lot more questions to be answered. The whole trip to Rwanda was amazing but I still couldn’t get over what seemed to be night and day change between the nightmare that was Rwanda in the 90’s and what it is now. I realize that I only received the tourist view of the country and in the 90’s I only got the media perspective, but it made me wonder what makes a culture able to move forward after a horrendous tragedy. Why is it that Rwanda seems to have ‘forgiven’ or at least moved on and other countries struggle to forgive events that happened decades or longer ago? Is it cultural specific? Has it not been forgiven, but merely put aside until strengthen can be regathered? The trip to Rwanda was amazing, but it definitely was mixed with feelings of guilt, privilege and not knowing the right answer or what to do. Posted in Africa, Rwanda, TripsBookmark the permalink.